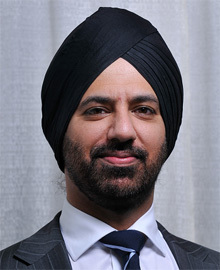 Dr Singh is a Consultant Colorectal Surgeon and Honorary Senior Lecturer at the University Hospitals of Leicester. He qualified and trained at Oxford University having obtained a first class honours degree in physiological sciences. He has a strong academic background having been awarded a PhD (DPhil) from Oxford University in 2004. Furthermore in 2008 he was awarded the prestigious International Guest Scholar of the American College of Surgeons. He has gained laparoscopic colorectal experience in Europe (Netherlands), USA and Japan. His research interest is new technologies in colorectal surgery.